"Criminals launder two to five percent of global GDP on a yearly basis. 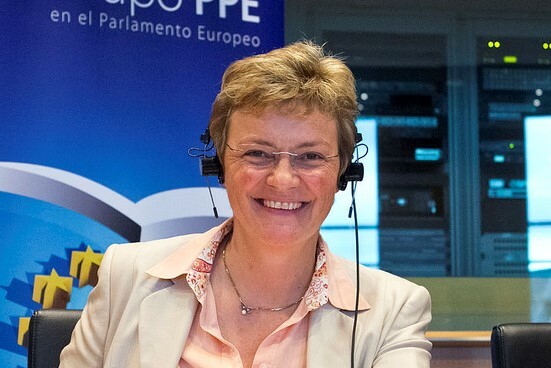 An essential part of this money is laundered and injected into the legal economy or used to finance terrorism and international cross-border crime," said EPP Group’s Spokeswoman Monika Hohlmeier. Two new sets of EU rules will tie terrorists’ hands and limit their access to money for organising attacks in Europe. Today, the European Parliament’s Committee on Civil Liberties, Justice and Home Affairs gave the green light to a preliminary agreement with the Member States on improved common EU rules on money laundering and the more efficient blocking of terrorists’ access to financing. Both legislative proposals were introduced as part of the European Commission’s Action Plan to strengthen the fight against terrorism financing following terrorist attacks around Europe in 2015 and 2016. The rules agreed in trilogue with the Council will be voted on at the September plenary session of the European Parliament.